Interested in working on one of our projects? Volunteer with us! 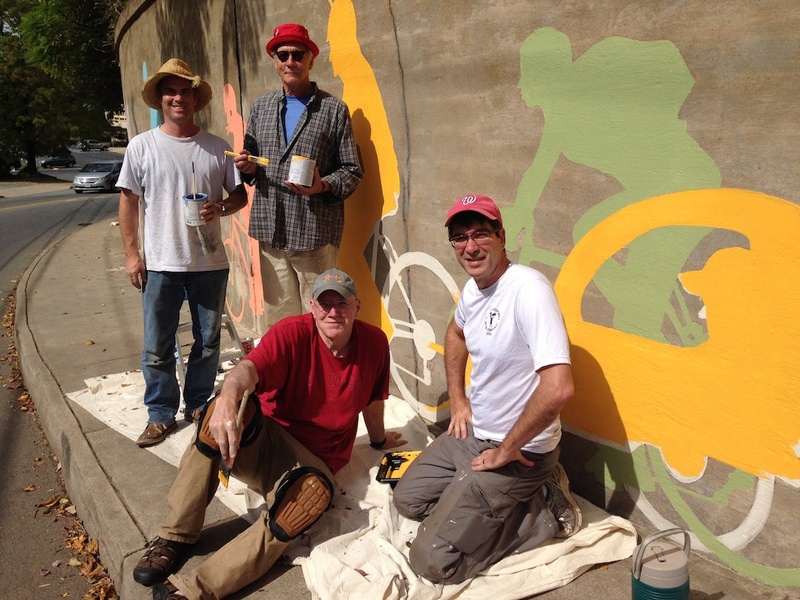 With every mural we’re working on, there’s always a benefit to having volunteers. Email Alan Goffinski at director@thebridgepai.org and include your interests and relevant talents. We are sometimes looking for experienced artists who we can hire for labor. If you have the skills and can handle scaffolding and lifts, send us an email. The Charlottesville Mural Project would like to thank the local businesses that contribute services and discounts. These businesses believe in the mission of the CMP and support public art in Charlottesville. We’d like to specifically thank The Fund at CACF, Tom Tom Founders Fest, Blue Ridge Paint and Decorating, Benjamin Moore Paints, Gropen, Piedmont Paint and Finish, and Virginia Organizing. We couldn’t do it without their generous support. Interested in being a sponsor of the Charlottesville Mural Project? Email Alan Goffinski at director@thebridgepai.org for more information.